Aleksandar Brkić is a scholar and lecturer in the fields of cultural/arts management and cultural policy, with significant experience as creative producer and arts manager, working in the intersections of performing arts, visual arts and design. He joined the Institute for Creative and Cultural Entrepreneurship ICCE, Goldsmiths, University of London in 2016. 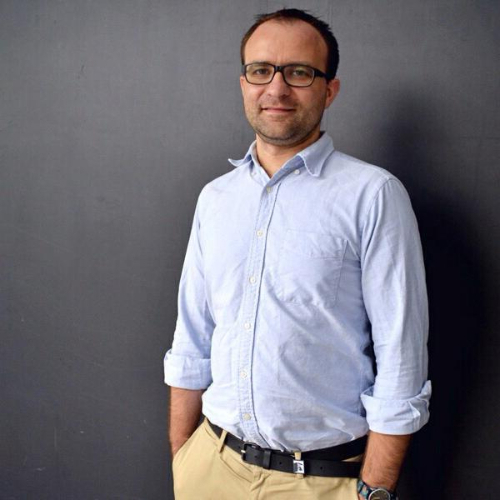 Aleksandar is also active at the Asia Centre and Centre for the Study of the Balkans at Goldsmiths, and is acting as an External Examiner at the Film, Media and Cultural Studies undergraduate programme at Birkbeck, University of London. Aleksandar completed PhD studies in Management in Arts and Media at the Faculty of Dramatic Arts, University of Arts in Belgrade, Serbia, in 2013. Two years prior to that, he won the Cultural policy research award CPRA, administered at that time by the European cultural foundation ECF and European network on cultural management and policy ENCATC. His PhD research titled ‘Cultural policy frameworks reconstructing national and supranational identities: The Balkans and the European Union’, supervised by Professor Milena Dragićević Šešić and advised by Professor Franco Bianchini, was edited and published in 2014 by ECF in Amsterdam. Dr Brkić’s education also includes an MFA in Scene Design at the Centre for Interdisciplinary Studies, University of Arts in Belgrade; MSc in Management at Cass Business School, City University, London UK Government Chevening scholarship and BA/MA at the Department for Theatre and Radio Production at the Faculty of Dramatic Arts, University of Arts in Belgrade. He is currently studying towards a PG Certificate in Learning and Teaching in Higher Education at Goldsmiths, University of London. Aleksandar teaches in the areas of arts/cultural management, cultural policy, theatre studies and communication studies. He currently convenes the ‘Events Management’ and ‘Managing Arts Organisations and Cultural Businesses’ modules at the BA Arts Management and contributes with his lectures to different MA programmes at ICCE. He is a guest professor at the UNESCO Chair/MA Cultural Policy and Management Interculturalism and Mediation in the Balkans at the Center for Interdisciplinary studies, University of Arts in Belgrade Serbia; as well as at the MA Cultural Policy and Cultural Management, Hassan II University in Casablanca Morocco. Previously, Aleksandar was teaching at LASALLE College of the Arts in Singapore and University of Arts in Belgrade. He delivered guest lectures at number of Universities internationally, including the City, University of London; Indonesian Institute of the Arts, Yogyakarta; De La Salle-College of Saint Benilde, Manila; University of Novi Sad. Aleksandar is the founder of 8010, an art production companyBelgrade, engaged as a creative producer for a piano duo LP Duo. Since 2010 he acts as a Vice President of Centre for Scene Design, Architecture and Technology/OISTAT Centre Serbia SCEN. He is a member of European network on cultural management and policy ENCATC, Association of Arts Administration Educators AAAE and European Sociological Association ESA. Brkić’s professional grounding is in theatre/performing arts. He has worked as a theatre producer and arts manager for different arts organizations in Serbia, including Belgrade international theatre festival BITEF and Center for performing arts and technology YUSTAT; was a producer of national exhibitions of Serbia on Prague Quadrennial 2007, 2011 and producer/organizer of number of theatre performances and site specific projects, collaborating closely with inspiring artists such as Jozef Nadj, Dragan Stojčevski, Branko Pavić, Sladjana Kilibarda and Jelena Bogavac. When it comes to special events management, Aleksandar was a production director at Studio Berar companyNovi Sad, organising and promoting concerts of artists such as Vernon Reid, Dele Sosimi, Esma Redžepova, Šaban Bajramović, Louis, Mistakemistake; as well as working as an events manager for variety of events – conferences, opening and closing ceremonies, state spectacles, music gigs. Aleksandar has actively been involved in number of international cultural networks. Together with Audrey Wong, he was a coordinator of Asia Pacific Network for Cultural Education and Research ANCER, the first network of its kind in the region of Asia Pacific, organizing two ANCER conferences, in Singapore and Phnom Penh, first ANCER Research Camp, as well as number of projects, initiatives and platforms between 2013 and 2017. He has more than 15 years of international experience as a trainer and coach in the areas of project/events and strategic management, cultural policy and intercultural dialogue through arts, working with the organizationsEurope and Asia, such as Cambodian Living Arts, Phnom Penh; Georgetown Festival, Penang; Mostar Youth Theatre, Mostar; PAC Multimedia, Skopje; Central Asian Network for Arts and Culture, Bishkek; European cultural foundation, Amsterdam; Banlieues d’Europe, Lyon. Aleksandar was engaged as a consultant, expert or an advisor by Council of Europe, European Cultural Foundation, Ministry of Culture of Serbia and Secretariat for Culture, City of Belgrade.